Boasts 31 Highway MPG and 26 City MPG! This Chevrolet Trax delivers a Turbocharged Gas 4-Cyl 1.4L/83 engine powering this Automatic transmission. WHEELS, 16 (40.6 CM) ALUMINUM (STD), TRANSMISSION, 6-SPEED AUTOMATIC (STD), TIRES, P205/70R16 ALL-SEASON, BLACKWALL. *This Chevrolet Trax Comes Equipped with These Options *LT CONVENIENCE PACKAGE includes (AVJ) Keyless Open, (BTM) Keyless Start, (5H1) Key System, (AG9) driver 6-way power seat adjuster, (N34) leather-wrapped 3-spoke steering wheel, (EGI) Deluxe Cloth/leatherette seat trim and (D7A) body-color door handles with chrome accents , STEERING WHEEL, LEATHER-WRAPPED 3-SPOKE, SILVER ICE METALLIC, SEATS, FRONT BUCKET WITH DRIVER POWER LUMBAR (STD), SEAT TRIM, DELUXE CLOTH/LEATHERETTE, SEAT ADJUSTER, DRIVER 6-WAY POWER, LT PREFERRED EQUIPMENT GROUP Includes Standard Equipment, LICENSE PLATE BRACKET, FRONT, KEYLESS START, KEYLESS OPEN with panic alarm. * Visit Us Today *Come in for a quick visit at Stingray Chevrolet, 2002 N Frontage Rd, Plant City, FL 33563 to claim your Chevrolet Trax! Delivers 31 Highway MPG and 26 City MPG! This Chevrolet Trax delivers a Turbocharged Gas 4-Cyl 1.4L/83 engine powering this Automatic transmission. WHEELS, 16 (40.6 CM) ALUMINUM (STD), TRANSMISSION, 6-SPEED AUTOMATIC (STD), TIRES, P205/70R16 ALL-SEASON, BLACKWALL. *This Chevrolet Trax Comes Equipped with These Options *LT CONVENIENCE PACKAGE includes (AVJ) Keyless Open, (BTM) Keyless Start, (5H1) Key System, (AG9) driver 6-way power seat adjuster, (N34) leather-wrapped 3-spoke steering wheel, (EGI) Deluxe Cloth/leatherette seat trim and (D7A) body-color door handles with chrome accents , SUMMIT WHITE, STEERING WHEEL, LEATHER-WRAPPED 3-SPOKE, SEATS, FRONT BUCKET WITH DRIVER POWER LUMBAR (STD), SEAT TRIM, DELUXE CLOTH/LEATHERETTE, SEAT ADJUSTER, DRIVER 6-WAY POWER, LT PREFERRED EQUIPMENT GROUP Includes Standard Equipment, LICENSE PLATE BRACKET, FRONT, KEYLESS START, KEYLESS OPEN with panic alarm. * Stop By Today *Test drive this must-see, must-drive, must-own beauty today at Stingray Chevrolet, 2002 N Frontage Rd, Plant City, FL 33563. Delivers 31 Highway MPG and 26 City MPG! This Chevrolet Trax delivers a Turbocharged Gas 4-Cyl 1.4L/83 engine powering this Automatic transmission. WHEELS, 16 (40.6 CM) ALUMINUM (STD), TRANSMISSION, 6-SPEED AUTOMATIC (STD), TIRES, P205/70R16 ALL-SEASON, BLACKWALL. *This Chevrolet Trax Comes Equipped with These Options *LT CONVENIENCE PACKAGE includes (AVJ) Keyless Open, (BTM) Keyless Start, (5H1) Key System, (AG9) driver 6-way power seat adjuster, (N34) leather-wrapped 3-spoke steering wheel, (EGI) Deluxe Cloth/leatherette seat trim and (D7A) body-color door handles with chrome accents , SUMMIT WHITE, STEERING WHEEL, LEATHER-WRAPPED 3-SPOKE, SEATS, FRONT BUCKET WITH DRIVER POWER LUMBAR (STD), SEAT TRIM, DELUXE CLOTH/LEATHERETTE, SEAT ADJUSTER, DRIVER 6-WAY POWER, LT PREFERRED EQUIPMENT GROUP Includes Standard Equipment, LICENSE PLATE BRACKET, FRONT, KEYLESS START, KEYLESS OPEN with panic alarm. * Visit Us Today *Come in for a quick visit at Stingray Chevrolet, 2002 N Frontage Rd, Plant City, FL 33563 to claim your Chevrolet Trax! Boasts 31 Highway MPG and 26 City MPG! This Chevrolet Trax delivers a Turbocharged Gas 4-Cyl 1.4L/83 engine powering this Automatic transmission. WHEELS, 16 (40.6 CM) ALUMINUM (STD), TRANSMISSION, 6-SPEED AUTOMATIC (STD), TIRES, P205/70R16 ALL-SEASON, BLACKWALL. * This Chevrolet Trax Features the Following Options *LT CONVENIENCE PACKAGE includes (AVJ) Keyless Open, (BTM) Keyless Start, (5H1) Key System, (AG9) driver 6-way power seat adjuster, (N34) leather-wrapped 3-spoke steering wheel, (EGI) Deluxe Cloth/leatherette seat trim and (D7A) body-color door handles with chrome accents , SUMMIT WHITE, STEERING WHEEL, LEATHER-WRAPPED 3-SPOKE, SEATS, FRONT BUCKET WITH DRIVER POWER LUMBAR (STD), SEAT TRIM, DELUXE CLOTH/LEATHERETTE, SEAT ADJUSTER, DRIVER 6-WAY POWER, LT PREFERRED EQUIPMENT GROUP Includes Standard Equipment, LICENSE PLATE BRACKET, FRONT, KEYLESS START, KEYLESS OPEN with panic alarm. * Stop By Today *For a must-own Chevrolet Trax come see us at Stingray Chevrolet, 2002 N Frontage Rd, Plant City, FL 33563. Just minutes away! Delivers 31 Highway MPG and 26 City MPG! This Chevrolet Trax delivers a Turbocharged Gas 4-Cyl 1.4L/83 engine powering this Automatic transmission. WHEELS, 16 (40.6 CM) ALUMINUM (STD), TRANSMISSION, 6-SPEED AUTOMATIC (STD), TIRES, P205/70R16 ALL-SEASON, BLACKWALL. *This Chevrolet Trax Comes Equipped with These Options *LT CONVENIENCE PACKAGE includes (AVJ) Keyless Open, (BTM) Keyless Start, (5H1) Key System, (AG9) driver 6-way power seat adjuster, (N34) leather-wrapped 3-spoke steering wheel, (EGI) Deluxe Cloth/leatherette seat trim and (D7A) body-color door handles with chrome accents , STEERING WHEEL, LEATHER-WRAPPED 3-SPOKE, SILVER ICE METALLIC, SEATS, FRONT BUCKET WITH DRIVER POWER LUMBAR (STD), SEAT TRIM, DELUXE CLOTH/LEATHERETTE, SEAT ADJUSTER, DRIVER 6-WAY POWER, LT PREFERRED EQUIPMENT GROUP Includes Standard Equipment, LICENSE PLATE BRACKET, FRONT, KEYLESS START, KEYLESS OPEN with panic alarm. 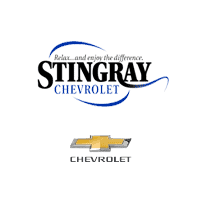 * Stop By Today *Come in for a quick visit at Stingray Chevrolet, 2002 N Frontage Rd, Plant City, FL 33563 to claim your Chevrolet Trax! Delivers 31 Highway MPG and 26 City MPG! This Chevrolet Trax boasts a Turbocharged Gas 4-Cyl 1.4L/83 engine powering this Automatic transmission. WHEELS, 16 (40.6 CM) ALUMINUM (STD), TRANSMISSION, 6-SPEED AUTOMATIC (STD), TIRES, P205/70R16 ALL-SEASON, BLACKWALL. * This Chevrolet Trax Features the Following Options *LT CONVENIENCE PACKAGE includes (AVJ) Keyless Open, (BTM) Keyless Start, (5H1) Key System, (AG9) driver 6-way power seat adjuster, (N34) leather-wrapped 3-spoke steering wheel, (EGI) Deluxe Cloth/leatherette seat trim and (D7A) body-color door handles with chrome accents , SUMMIT WHITE, STEERING WHEEL, LEATHER-WRAPPED 3-SPOKE, SEATS, FRONT BUCKET WITH DRIVER POWER LUMBAR (STD), SEAT TRIM, DELUXE CLOTH/LEATHERETTE, SEAT ADJUSTER, DRIVER 6-WAY POWER, LT PREFERRED EQUIPMENT GROUP Includes Standard Equipment, LICENSE PLATE BRACKET, FRONT, KEYLESS START, KEYLESS OPEN with panic alarm. * Stop By Today *For a must-own Chevrolet Trax come see us at Stingray Chevrolet, 2002 N Frontage Rd, Plant City, FL 33563. Just minutes away! Delivers 31 Highway MPG and 26 City MPG! This Chevrolet Trax delivers a Turbocharged Gas 4-Cyl 1.4L/83 engine powering this Automatic transmission. WHEELS, 16 (40.6 CM) ALUMINUM (STD), TRANSMISSION, 6-SPEED AUTOMATIC (STD), TIRES, P205/70R16 ALL-SEASON, BLACKWALL. * This Chevrolet Trax Features the Following Options *LT CONVENIENCE PACKAGE includes (AVJ) Keyless Open, (BTM) Keyless Start, (5H1) Key System, (AG9) driver 6-way power seat adjuster, (N34) leather-wrapped 3-spoke steering wheel, (EGI) Deluxe Cloth/leatherette seat trim and (D7A) body-color door handles with chrome accents , STEERING WHEEL, LEATHER-WRAPPED 3-SPOKE, SILVER ICE METALLIC, SEATS, FRONT BUCKET WITH DRIVER POWER LUMBAR (STD), SEAT TRIM, DELUXE CLOTH/LEATHERETTE, SEAT ADJUSTER, DRIVER 6-WAY POWER, LT PREFERRED EQUIPMENT GROUP Includes Standard Equipment, LICENSE PLATE BRACKET, FRONT, KEYLESS START, KEYLESS OPEN with panic alarm. * Stop By Today *Test drive this must-see, must-drive, must-own beauty today at Stingray Chevrolet, 2002 N Frontage Rd, Plant City, FL 33563. Scores 31 Highway MPG and 26 City MPG! This Chevrolet Trax boasts a Turbocharged Gas 4-Cyl 1.4L/83 engine powering this Automatic transmission. WHEELS, 16 (40.6 CM) ALUMINUM (STD), TRANSMISSION, 6-SPEED AUTOMATIC (STD), TIRES, P205/70R16 ALL-SEASON, BLACKWALL. *This Chevrolet Trax Comes Equipped with These Options *LT CONVENIENCE PACKAGE includes (AVJ) Keyless Open, (BTM) Keyless Start, (5H1) Key System, (AG9) driver 6-way power seat adjuster, (N34) leather-wrapped 3-spoke steering wheel, (EGI) Deluxe Cloth/leatherette seat trim and (D7A) body-color door handles with chrome accents , STEERING WHEEL, LEATHER-WRAPPED 3-SPOKE, SILVER ICE METALLIC, SEATS, FRONT BUCKET WITH DRIVER POWER LUMBAR (STD), SEAT TRIM, DELUXE CLOTH/LEATHERETTE, SEAT ADJUSTER, DRIVER 6-WAY POWER, LT PREFERRED EQUIPMENT GROUP Includes Standard Equipment, LICENSE PLATE BRACKET, FRONT, KEYLESS START, KEYLESS OPEN with panic alarm. * Stop By Today *You've earned this- stop by Stingray Chevrolet located at 2002 N Frontage Rd, Plant City, FL 33563 to make this car yours today! Scores 31 Highway MPG and 26 City MPG! This Chevrolet Trax boasts a Turbocharged Gas 4-Cyl 1.4L/83 engine powering this Automatic transmission. WHEELS, 16 (40.6 CM) ALUMINUM (STD), TRANSMISSION, 6-SPEED AUTOMATIC (STD), TIRES, P205/70R16 ALL-SEASON, BLACKWALL. *This Chevrolet Trax Comes Equipped with These Options *LT CONVENIENCE PACKAGE includes (AVJ) Keyless Open, (BTM) Keyless Start, (5H1) Key System, (AG9) driver 6-way power seat adjuster, (N34) leather-wrapped 3-spoke steering wheel, (EGI) Deluxe Cloth/leatherette seat trim and (D7A) body-color door handles with chrome accents , STEERING WHEEL, LEATHER-WRAPPED 3-SPOKE, SEATS, FRONT BUCKET WITH DRIVER POWER LUMBAR (STD), SEAT TRIM, DELUXE CLOTH/LEATHERETTE, SEAT ADJUSTER, DRIVER 6-WAY POWER, SATIN STEEL METALLIC, LT PREFERRED EQUIPMENT GROUP Includes Standard Equipment, LICENSE PLATE BRACKET, FRONT, KEYLESS START, KEYLESS OPEN with panic alarm. * Stop By Today *Live a little- stop by Stingray Chevrolet located at 2002 N Frontage Rd, Plant City, FL 33563 to make this car yours today! Boasts 31 Highway MPG and 26 City MPG! This Chevrolet Trax boasts a Turbocharged Gas 4-Cyl 1.4L/83 engine powering this Automatic transmission. WHEELS, 16 (40.6 CM) ALUMINUM (STD), TRANSMISSION, 6-SPEED AUTOMATIC (STD), TIRES, P205/70R16 ALL-SEASON, BLACKWALL. *This Chevrolet Trax Comes Equipped with These Options *LT CONVENIENCE PACKAGE includes (AVJ) Keyless Open, (BTM) Keyless Start, (5H1) Key System, (AG9) driver 6-way power seat adjuster, (N34) leather-wrapped 3-spoke steering wheel, (EGI) Deluxe Cloth/leatherette seat trim and (D7A) body-color door handles with chrome accents , STEERING WHEEL, LEATHER-WRAPPED 3-SPOKE, SILVER ICE METALLIC, SEATS, FRONT BUCKET WITH DRIVER POWER LUMBAR (STD), SEAT TRIM, DELUXE CLOTH/LEATHERETTE, SEAT ADJUSTER, DRIVER 6-WAY POWER, LT PREFERRED EQUIPMENT GROUP Includes Standard Equipment, LICENSE PLATE BRACKET, FRONT, KEYLESS START, KEYLESS OPEN with panic alarm. * Visit Us Today *You've earned this- stop by Stingray Chevrolet located at 2002 N Frontage Rd, Plant City, FL 33563 to make this car yours today! Scores 31 Highway MPG and 26 City MPG! This Chevrolet Trax delivers a Turbocharged Gas 4-Cyl 1.4L/83 engine powering this Automatic transmission. WHEELS, 16 (40.6 CM) ALUMINUM (STD), TRANSMISSION, 6-SPEED AUTOMATIC (STD), TIRES, P205/70R16 ALL-SEASON, BLACKWALL. *This Chevrolet Trax Comes Equipped with These Options *LT CONVENIENCE PACKAGE includes (AVJ) Keyless Open, (BTM) Keyless Start, (5H1) Key System, (AG9) driver 6-way power seat adjuster, (N34) leather-wrapped 3-spoke steering wheel, (EGI) Deluxe Cloth/leatherette seat trim and (D7A) body-color door handles with chrome accents , STEERING WHEEL, LEATHER-WRAPPED 3-SPOKE, SEATS, FRONT BUCKET WITH DRIVER POWER LUMBAR (STD), SEAT TRIM, DELUXE CLOTH/LEATHERETTE, SEAT ADJUSTER, DRIVER 6-WAY POWER, MOSAIC BLACK METALLIC, LT PREFERRED EQUIPMENT GROUP Includes Standard Equipment, LICENSE PLATE BRACKET, FRONT, KEYLESS START, KEYLESS OPEN with panic alarm. * Stop By Today *You've earned this- stop by Stingray Chevrolet located at 2002 N Frontage Rd, Plant City, FL 33563 to make this car yours today! Delivers 31 Highway MPG and 26 City MPG! This Chevrolet Trax delivers a Turbocharged Gas 4-Cyl 1.4L/83 engine powering this Automatic transmission. WHEELS, 18 (45.7 CM) BLACK FINISH ALUMINUM WITH RED ACCENT STRIPES, TRANSMISSION, 6-SPEED AUTOMATIC (STD), TIRES, P215/55R18 ALL-SEASON, BLACKWALL. *This Chevrolet Trax Comes Equipped with These Options *LT CONVENIENCE PACKAGE includes (AVJ) Keyless Open, (BTM) Keyless Start, (5H1) Key System, (AG9) driver 6-way power seat adjuster, (N34) leather-wrapped 3-spoke steering wheel, (EGI) Deluxe Cloth/leatherette seat trim and (D7A) body-color door handles with chrome accents, DRIVER CONFIDENCE PACKAGE includes (UFT) Side Blind Zone Alert, (UFG) Rear Cross Traffic Alert and (UD7) Rear Park Assist , STEERING WHEEL, LEATHER-WRAPPED 3-SPOKE, SILVER ICE METALLIC, SIDE BLIND ZONE ALERT, SEATS, FRONT BUCKET WITH DRIVER POWER LUMBAR (STD), SEAT TRIM, DELUXE CLOTH/LEATHERETTE, SEAT ADJUSTER, DRIVER 6-WAY POWER, REDLINE EDITION includes (REN) 18 Black finish aluminum wheels with Red accent stripes, (RAK) P215/55R18 all-season blackwall tires, Black mirror caps, (GGC) Black grille with Black surround, front and rear Black bowties, Black beltline moldings and (CG6) Black Trax badge with Red outline, REAR PARK ASSIST, SENSOR INDICATOR. * Visit Us Today *Come in for a quick visit at Stingray Chevrolet, 2002 N Frontage Rd, Plant City, FL 33563 to claim your Chevrolet Trax! Delivers 31 Highway MPG and 26 City MPG! This Chevrolet Trax delivers a Turbocharged Gas 4-Cyl 1.4L/83 engine powering this Automatic transmission. WHEELS, 18 (45.7 CM) BLACK FINISH ALUMINUM WITH RED ACCENT STRIPES, TRANSMISSION, 6-SPEED AUTOMATIC (STD), TIRES, P215/55R18 ALL-SEASON, BLACKWALL. * This Chevrolet Trax Features the Following Options *LT CONVENIENCE PACKAGE includes (AVJ) Keyless Open, (BTM) Keyless Start, (5H1) Key System, (AG9) driver 6-way power seat adjuster, (N34) leather-wrapped 3-spoke steering wheel, (EGI) Deluxe Cloth/leatherette seat trim and (D7A) body-color door handles with chrome accents, DRIVER CONFIDENCE PACKAGE includes (UFT) Side Blind Zone Alert, (UFG) Rear Cross Traffic Alert and (UD7) Rear Park Assist , STEERING WHEEL, LEATHER-WRAPPED 3-SPOKE, SIDE BLIND ZONE ALERT, SEATS, FRONT BUCKET WITH DRIVER POWER LUMBAR (STD), SEAT TRIM, DELUXE CLOTH/LEATHERETTE, SEAT ADJUSTER, DRIVER 6-WAY POWER, REDLINE EDITION includes (REN) 18 Black finish aluminum wheels with Red accent stripes, (RAK) P215/55R18 all-season blackwall tires, Black mirror caps, (GGC) Black grille with Black surround, front and rear Black bowties, Black beltline moldings and (CG6) Black Trax badge with Red outline, REAR PARK ASSIST, SENSOR INDICATOR, REAR CROSS-TRAFFIC ALERT. * Visit Us Today *For a must-own Chevrolet Trax come see us at Stingray Chevrolet, 2002 N Frontage Rd, Plant City, FL 33563. Just minutes away!